Sometimes a beauty product will come along that's so good it almost instantly solidifies a spot in the beauty hall of fame forever. That's the case with Philip Kingsley's Elasticizer (£19). Before the days of Olaplex and Smartbond, this was the OG of hair masques, smoothing frizzy cuticles and replenishing overprocessed hair. From 1974 to 1980, Audrey Hepburn and Philip Kingsley worked together to create the world's first pre-shampoo hair treatment. Hepburn was doing a lot of filming, and her hair was in bad condition because of all the styling and colouring they were doing on set. She requested Kingsley develop a moisturising treatment that wasn't going to weigh her hair down, as she had quite fine hair. Hepburn loved the finished product so much that she ordered pots and pots to be sent over to her home in Switzerland. In 1982, the Elasticizer was finally made available to not only those who were clients of the Philip Kingsley Tricological Clinic but also at Saks Fifth Avenue, where anyone could purchase it. In 1985, Kingsley made an appearance on The Oprah Winfrey Show show and talked all things Elasticizer and celebrity success stories he'd had with it. Later that day, his personal stores had queues down the street of people wanting to get their hands on the miracle product. By 1995, Elasticizer had amassed a huge cult following with celebrities like Cate Blanchette, Georgia May Jagger and Rochelle Hulmes swearing by it alongside top beauty editors (plus, its won countless notable beauty awards). Nowadays, one unit of Elasticizer is sold every two minutes globally and continues to be used backstage at fashion week and by hairstylists around the world. So now that we've covered its history, what the heck actually is Elasticizer and what are the key ingredients that enable it to work its magic? First up, the star of the show is hydrolyzed elastin. This is a protein that penetrates your hair shaft to increase elasticity (hence the name of the product). This is what will give your hair that lovely stretch and strength, meaning fewer breakages. Castor oil, olive oil and glycerin are the other three ingredients. Individually, they're all amazing at locking in moisture, boosting shine and helping your hair to retain hydration, but together, they're something of a haircare dream team. Elasticizer is designed to be used before shampooing and can be used to restore and pamper all hair types, although it's especially great for hair that's been bleached or heat-styled. Dampen your hair and apply the thick cream through the mid-lengths towards the ends of your hair. For optimum results, wrap your hair in a shower cap or towel, as the heat created will help your hair to really soak up the mask's nutrients. Leave on for at least 10 to 20 minutes before washing hair thoroughly, shampooing and conditioning as normal. Philip Kingsley advises that you should use Elasticizer weekly or biweekly depending on your hair's needs, meaning that a 150-millilitre pot should last you around four months. With regular use, your hair is left stronger and healthier. Due to the continued popularity of the iconic Philip Kingsley Elasticizer, the brand has since gone on to release new incarnations of the product in dreamy fragrances. Anabel Kingsley, trichologist at Philip Kingsley (and Philip's daughter), told us, "We're delighted to unveil Pomegranate and Cassis Elasticizer for this year with a fresh burst of scent that feels really indulgent. It should be applied every week for stronger, healthier-looking hair." 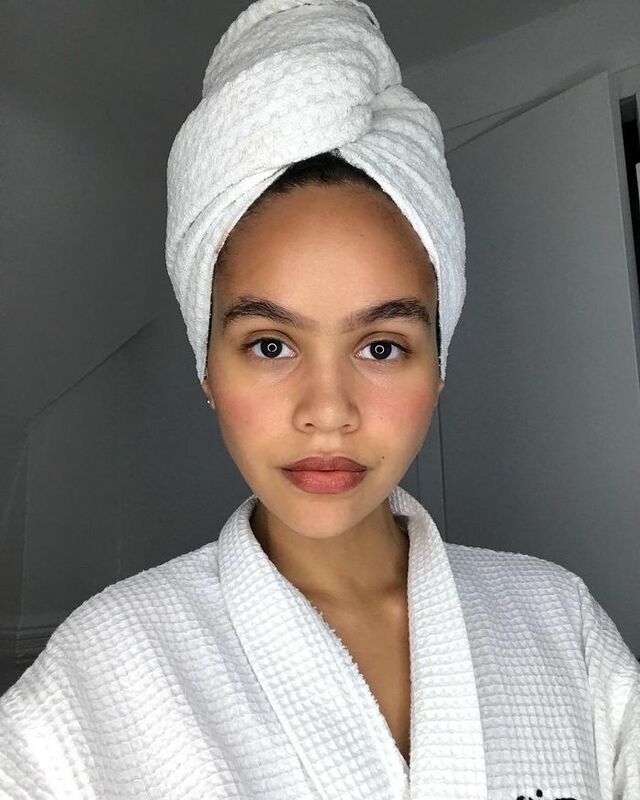 If you don't have 20 minutes to spare indulging in an intensive hair treatment of an evening, Kingsley even has some tips for making it part of your daily routine. "For the fitness guru, elasticize and tie hair up. The pre-conditioner does its work whilst you exercise; then wash off in your post-workout shower," Kingsley advises. If you're really busy, she suggests you leave it in your damp hair while you sleep overnight and rinse it off in the shower come morning. Keep scrolling to shop the iconic Philip Kingsley Elasticizer in its cult classic formula and more recent incarnations. Next up, the £20 hair tool I've seen busy fashion girls using for instant curls.